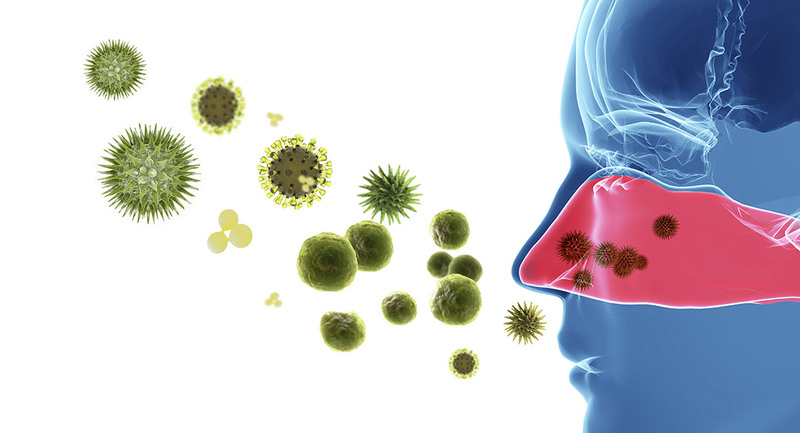 Your adenoids are a pair of soft tissues masses located behind the nose and roof of the mouth that trap germs and create antibodies that aid the immune system in fighting off infection. Since your adenoids play such a key role in protection, they often come into contact with germs and then become infected. This condition is known as adenoiditis. Virtually any virus or bacteria can cause an infection of the adenoids. Enlarged adenoids can block airflow through your nose, which can lead to mouth breathing, snoring and a dry and sore throat. Yellow or green discharge from the nose can also occur. In addition to swollen adenoids, infected adenoids can lead to middle ear infections, sinusitis and a chest infection. Because adenoiditis symptoms closely mirror other conditions, an in-depth examination is necessary in order to properly diagnose the condition. Your child’s doctor will examine their ears, nose and throat, and check for swollen lymph nodes in the neck. X-rays may be ordered because the adenoids are often difficult to observe visually. If the cause of adenoiditis is viral in nature, it should run its course in a matter of days. Symptoms can be treated with over-the-counter medications (antihistamines, decongestants or pain relievers), fluids and rest. If a bacterial infection is to blame, antibiotics are the usual method of treatment. Chronic ear infections, a frequent cause of adenoiditis, may require surgical treatment. This procedure to remove the adenoids, known as an adenoidectomy, is routine and performed on an outpatient basis. It is often recommended that a tonsillectomy (surgery to remove the tonsils) be performed at the same time, since tonsillitis and adenoiditis often occur simultaneously.